An audience of approximately 50 people listen to Karl Rove discuss his new book at a signing event in Beavercreek, Ohio this past Sunday. 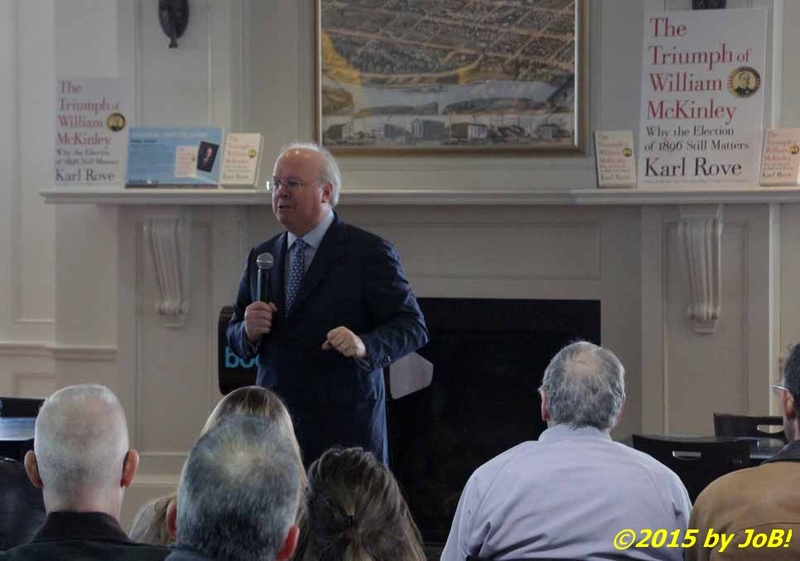 Involved in politics since his teenage years (and earning the nickname "the Architect" for designing Bush's gubernatorial and presidential election victories), Rove uses this book to highlight the overlooked legacy of the 25th US president regarding party unification, introducing a new party system and the adoption of strategic targeting of activities and messages to specific audiences. 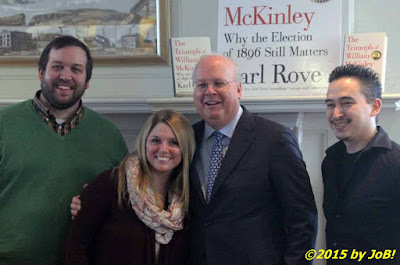 McKinley's victory over Democrat William Jennings Bryant helped usher in the Republican dominance of American politics that held up until the election of Franklin Delano Roosevelt in 1932. 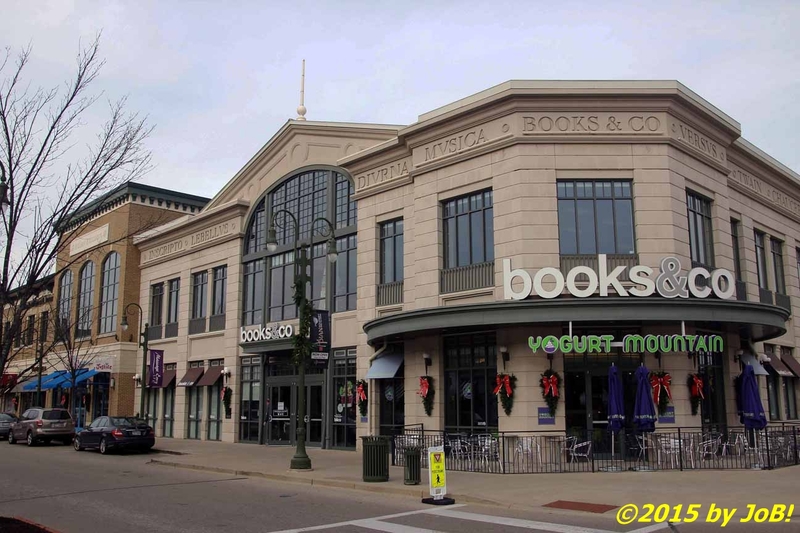 He calls that 1896 contest "one of the great five realigning elections in American history" that paralleled the United States' transition from a developing agrarian nation to one with an industrial focus and a growing reliance on technology. 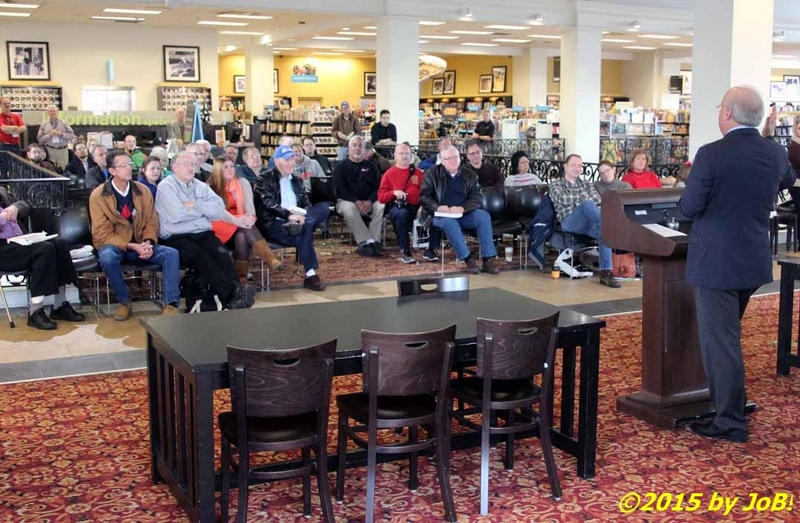 He concluded his remarks by taking questions from the audience and providing his personal assessment of current events and the Republican's 2016 nomination campaign. The Beavercreek, Ohio Books-A-Million store hosted a book signing event with Karl Rove this past Sunday. 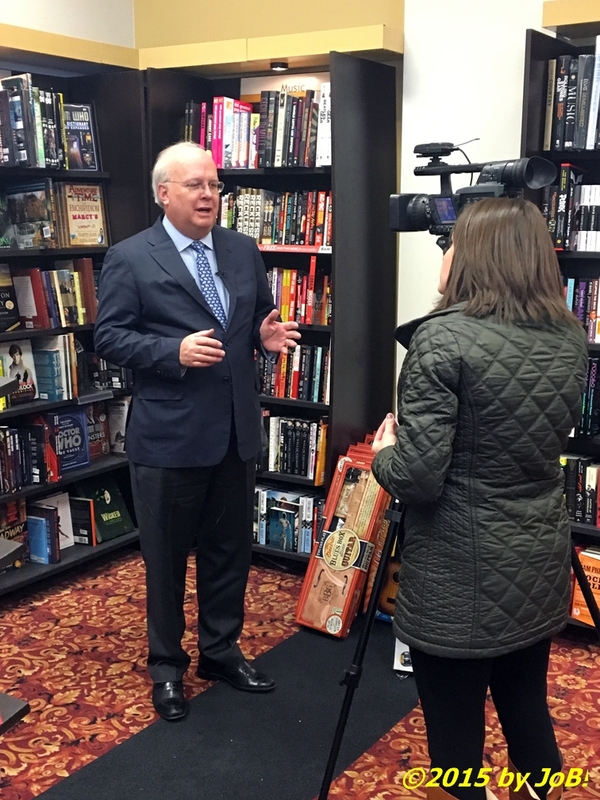 In addition to researching volumes of data for his book about one of Ohio's eight US presidents, Rove has an intimate knowledge of the state's political climate and inner workings. In a somewhat embarrassing event, that insight was put on very public display on the Fox News Channel's live coverage of the 2012 presidential general election returns when he disputed the network's call of Ohio for President Barack Obama when only 73 percent of the ballots had been counted and the vote difference between the candidates stood at less than 30,000 (Obama's eventual margin of victory over Mitt Romney was by a little over 166,000 votes). 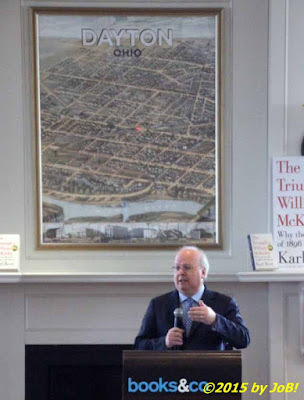 In addition to the Dayton area, Rove also scheduled events in Canton and Cincinnati before concluding his 5-day Ohio swing in Columbus at the State House this afternoon (he does stop back at Cleveland's Western Reserve Historical Society on Saturday the 12th). 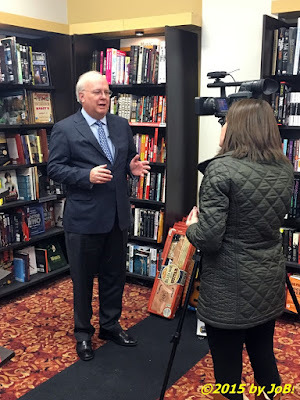 Political consultant Karl Rove is interviewed by local media prior to the start of his book signing event in Beavercreek, Ohio this past Sunday. 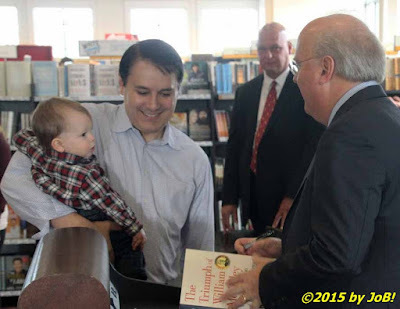 Karl Rove talks with a former co-worker and his young son at the Beavercreek, Ohio book signing event this past Sunday. Karl Rove addresses the audience at his book signing event in Beavercreek, Ohio this past Sunday. Karl Rove poses with Books-A-Million staff members at the conclusion of his book signing event in Beavercreek, Ohio this past Sunday.